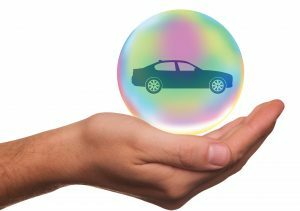 Boca insurance agency Seeman Holtz can help you with the right car insurance. Saving on auto insurance can be funny in commercials. But to the professionals at Boca insurance agency Seeman Holtz Property & Casualty, it’s no laughing matter. Do an annual check on your coverage. According to Consumer Reports: “If you’ve been with the same insurer a long time, it might be tough to beat its rates, especially if you haven’t had any claims lately.” But that doesn’t mean you shouldn’t get a coverage check up. At Boca insurance agency Seeman Holtz, we take a second look at your current insurance and see if you have both the best and most cost-effective coverage. Get the best. Remember that lower premiums aren’t the only thing you need to consider. “Some insurers have lower premiums, but end up costing you more in the end by lowballing loss estimates, hassling the repair shop to cut corners, and forcing you to pay extra for original-equipment replacement parts. They might even unfairly jack up your premiums after an accident,” Consumer Reports writes. A Boca insurance agency Seeman Holtz review could wind up saving you hundreds of dollars a year. Keep up with your credit. In most states, insurance companies are allowed to use your credit score to help determine your premium. So, as with so many things, a good credit score can help you get the best deal.